A village suffering from poverty on the outskirts of Chisinau. Please read to see how you may help make a difference. This is Father Vladimir. He is the Orthodox priest for the village. Whilst he and I get along well, he is clearly nervous about the concepts of ecumenism. Fr. Vladimir does not visit anyone in his parish; they are required to come to him at the Basilica. Fr Vladimir has never once in his life helped anyone in the village financially; the villagers must give money to the church. The church has never, ever, contributed to the village; the village MUST support the church! And the list goes on. However, despite this, the Orthodox Church holds great power over the community and it is essential to work "with" the local priest and nurture him to ensure that he constantly feels as if he is in control of a situation. Several years ago there were some clashes over a visiting Baptist missionary, who, unfortunately, created a bit of a stir. Subsequently, the missionary was invited to leave. It's my feeling that had the missionary invested in building relationships first, and had demonstrated respect and understanding towards the mother church, many things could have been accomplished to help the community. But sadly, many of these lessons are gained from years of experience. 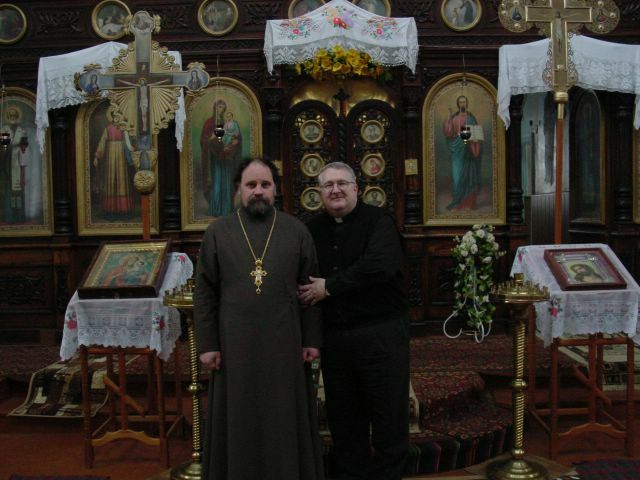 I found Fr Vladimir helpful and open to working with me in any way he could to help the community. Meet Nathalia. Can you Find Her a Job?